I stumbled upon this at the liquor store and it got a few good reviews. I was actually shocked at how good this tasted for being so cheap (got it for $5.99). Almost like any decent dark or fine rum you'd find. It was actually pleasant. Going in smooth. Really great aroma and feel. Bits of a nice kind of caramel ish flavor going down. You can definitely taste a bit of oak. 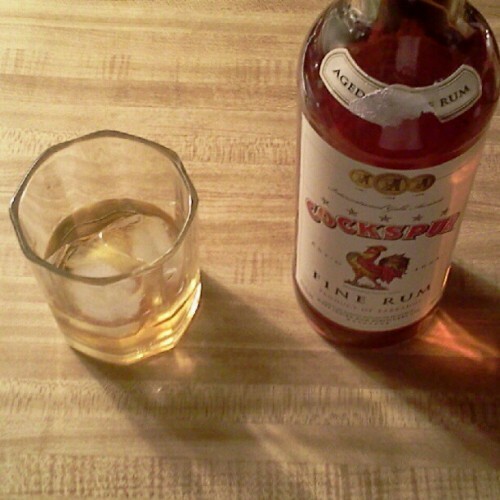 It reminds me of Appleton Estate but just two notches down in quality (acceptable due to the price). Overall - I'd have to give this roughly a B-. I can sip this if I wanted to on ice, but I'd much rather make a cocktail out of it. It's pretty smooth, but not overly smooth to where I can just sip this all day long. Some ice and a splash of cranberry juice makes this a very pleasant drink. In fact, I posted last night my Spur of the Moment Cocktail. Go check that out!